Boa Vista, Roraima, Brazil (February 2, 2018) - The Pan American Development Foundation (PADF) and Fraternidade International Humanitarian Federation are proud to welcome Ambassador Riccardo Savone to inaugurate two pressing humanitarian initiatives funded by the Canada Fund for Local Initiatives (CFLI) that will assist Venezuelan refugees and migrants living in Brazil’s Roraima state. Mr. Savone, the Ambassador of Canada to the Federative Republic of Brazil, will inaugurate a clinic and a school for Venezuelans refugees and migrants living at the Immigrant Reference Center in Boa Vista at ceremony on Monday, February 5 at 11 a.m. Mr. Savone will be accompanied by Captain Réal Brisson, Army, Navy, and Air Force Attaché, as well as Nadine Khoury, Second Secretary for Political and Public Affairs. The school and clinic were constructed from converted shipping containers. The school and clinic, implemented by PADF, will serve primarily indigenous migrants and refugees at the shelter. The clinic will provide a private and sanitary location for doctors and nurses form government agencies and non-profit organizations to treat medical problems. Meanwhile, the school will allow children to receive primary education and allow adults to receive language and workforce preparedness classes. Classes at the school will be led by volunteers from local NGO Fraternidade, the Federal University of Roraima (UFRR), and the Casa de los Niños, along with indigenous professors. At the same time, Ambassador Savone will officially announce a new project with Fraternidade, also supported by PADF, to provide food and hygiene kits to more than 1,000 Venezuelans living at the Tancredo Neves Gymnasium in the Caimbé neighborhood, also in Boa Vista. “The Venezuelans we serve, the majority of whom are indigenous, have myriad needs such as food, housing, healthcare, employment, and legal assistance,” said Clara dos Santos, head of Fraternidade’s mission in Roraima. The two shelters are coordinated by the State Civil Defense Office of Coordination (CEDEC), the state government agency leading and organizing local response. PADF and Fraternidade will work in coordination with CEDEC, the United Nations High Commissioner for Refugees (UNHCR), and local and international agencies and organizations to ensure Venezuelan migrants and refugees receive the services they need. Fraternidade International Humanitarian Federation is non-profit humanitarian assistance organization based in Minas Gerais that sends humanitarian missions to serve the needy around the world. Since November 2016, it has been providing essential services for Venezuelans living in Roraima, such as meals, refuge, health services, recreational activities, and employment assistance. The Pan American Development Foundation is a non-governmental organization with headquarters in Washington and a local office in Brazil. Since its founding by the Organization of American States (OAS) in 1962, PADF has worked across Latin America and the Caribbean to assist vulnerable and excluded individuals, including refugees and migrants. PADF has helped serve the needs of thousands of displaced people in Colombia, Haiti and Brazil. 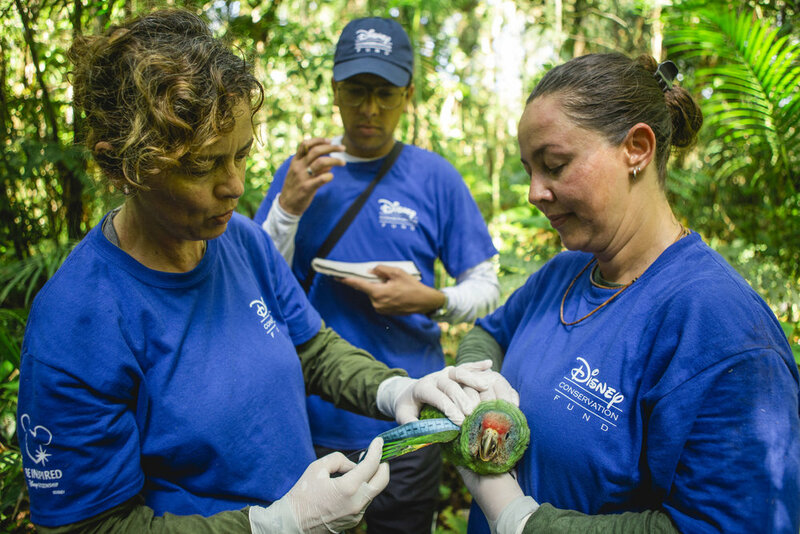 Washington, D.C. (April 22, 2017) — The Pan American Development Foundation (PADF) has been awarded a grant from the Disney Conservation Fund (DCF) to support the Wildlife Research and Environmental Education (SPVS), a leading Brazilian environmental conservation organization, to protect the Red-Tailed Amazon Parrot, a threatened species in Brazil. This grant is part of the Fund’s focus on reversing the decline of threatened wildlife around the world. The red-tailed Amazon parrot lives in the largest remaining area of the Atlantic Forest, listed among the five most important areas for the conservation of biodiversity on the planet. 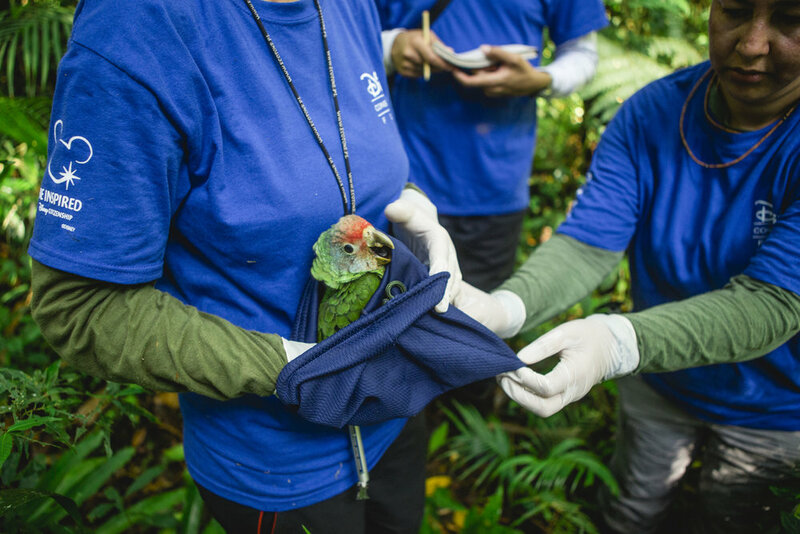 SPVS will conduct a census to determine the health of the parrot population on the southern coast of São Paulo state. 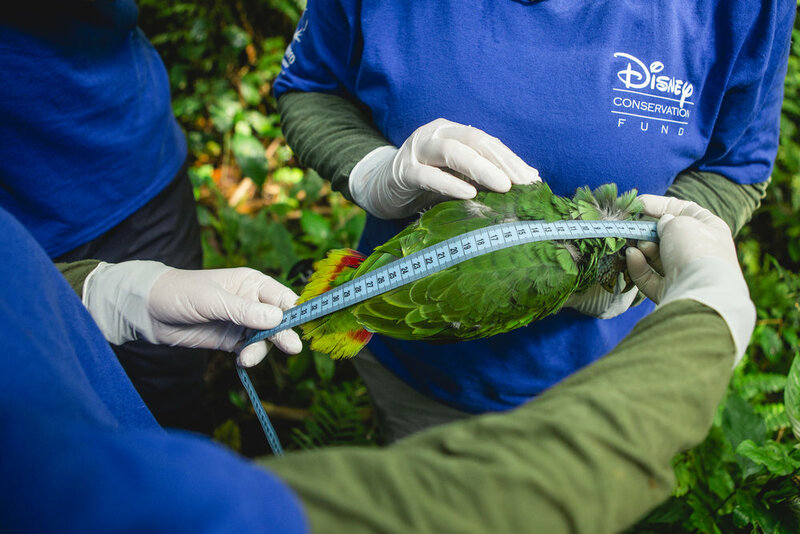 This includes monitoring nesting sites and compiling data on the illegal trade of parrots, which is a major problem in the region. The project will train local forest rangers about threats to the parrot’s habitat. 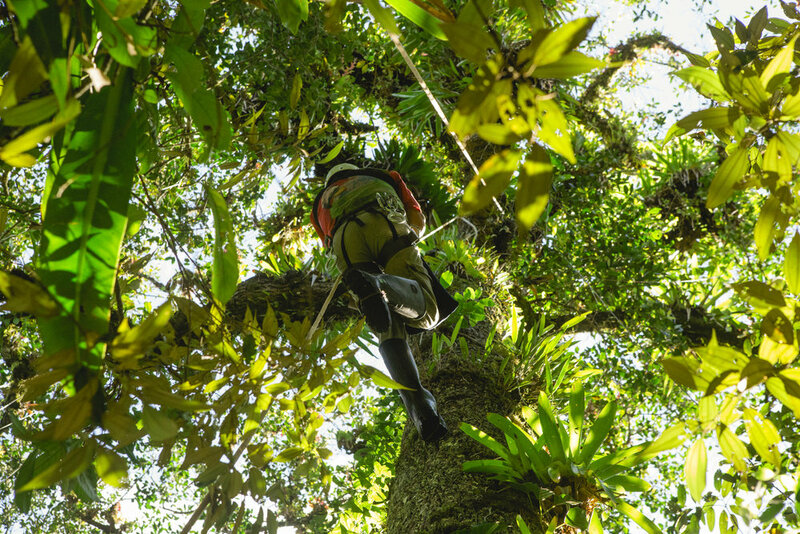 Rangers will pass these lessons on to visitors of the Atlantic Forest through interpretive programs. In addition, SPVS will raise awareness in local communities about the importance of preserving the species and its habitat through events and interactive presentations for students. Educational programs will target schools in the municipality of Ilha Comprida, São Paulo, an area with a large concentration of parrot breeding sites. 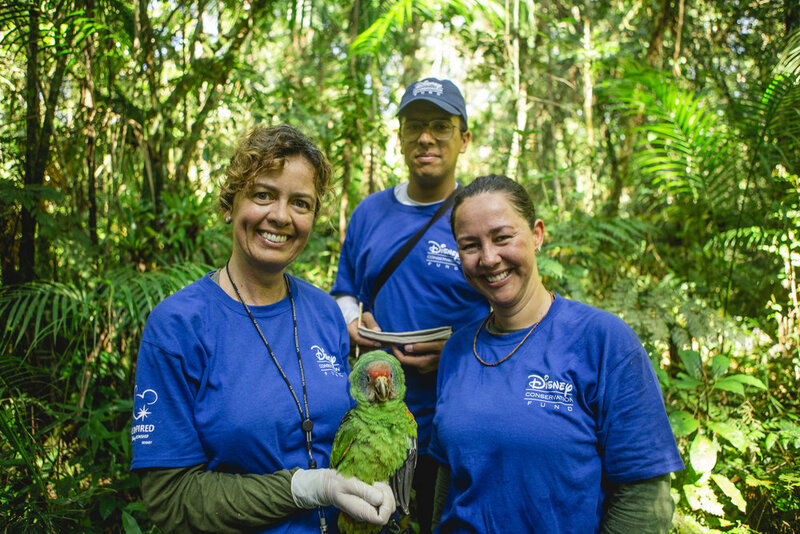 The Disney Conservation Fund focuses on reversing the decline of wildlife and increasing the time kids spend in nature. Since its inception in 1995, DCF has provided approximately $65 million to support conservation programs in 115 countries. 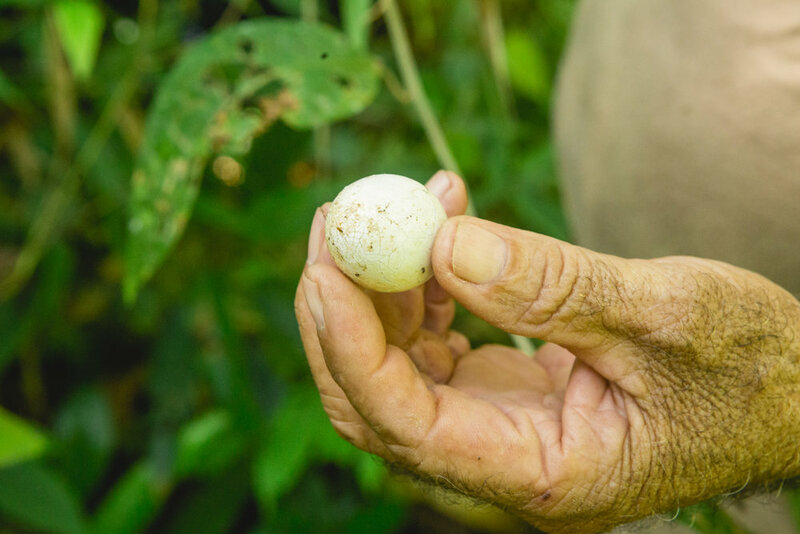 Projects were selected to receive awards based on their efforts to study wildlife, protect habitats and develop community conservation and education programs in critical ecosystems around the world. São Paulo, Brazil (November 14, 2015) – On World Diabetes Day, the Pan American Development Foundation (PADF) celebrates its partnership with Medtronic, the global leader in medical technology, services and solutions, to improve diabetes care in Brazil. PADF received a two-year Health Access Grant from Medtronic Philanthropy to build the capacity of the Brazilian Juvenile Diabetes Association (ADJ) based in São Paulo. PADF was nominated by a team of Medtronic employees. More than 11 million Brazilians—about nine percent of the population—live with diabetes, according to the International Diabetes Federation. With funding from Medtronic Philanthropy and technical support from PADF, the Brazilian Juvenile Diabetes Association is strengthening its educational and treatment programs. The Medtronic grant has allowed ADJ to scale up its health care services to at-risk communities. PADF worked with ADJ to improve and broaden its communications strategy. The association upgraded their website to offer a range of multimedia resources for people living with diabetes, including free screening tools. This has helped them increase their reach and raise awareness about diabetes nationwide. “The new site allows people to reach ADJ more easily, whether as volunteers or patients,” says ADJ Marketing Director Luiz Kitamura. “There was even an increase in donations. This tool has allowed us to put more energy into our goals while improving our ability to disseminate information." ADJ promotes awareness about diabetes and offers free care to those affected by the disease. The association offers a wide range of programs on both type 1 and 2 diabetes including a day camp for kids with diabetes, a mobile clinic, free workshops on nutrition and self-care and one-on-one meetings with physicians. ADJ is also developing educational software tools for the management of diabetes. Since ADJ launched their new website, they have seen a 9.2 percent increase in the number of groups registered for membership and a 65 percent increase in the number of volunteers, which are key for the provision of their services. Programa Saúde Total on Metropolitan Radio in Sao Paulo reaches more than 11 municipalities and more than 2.7 million people. 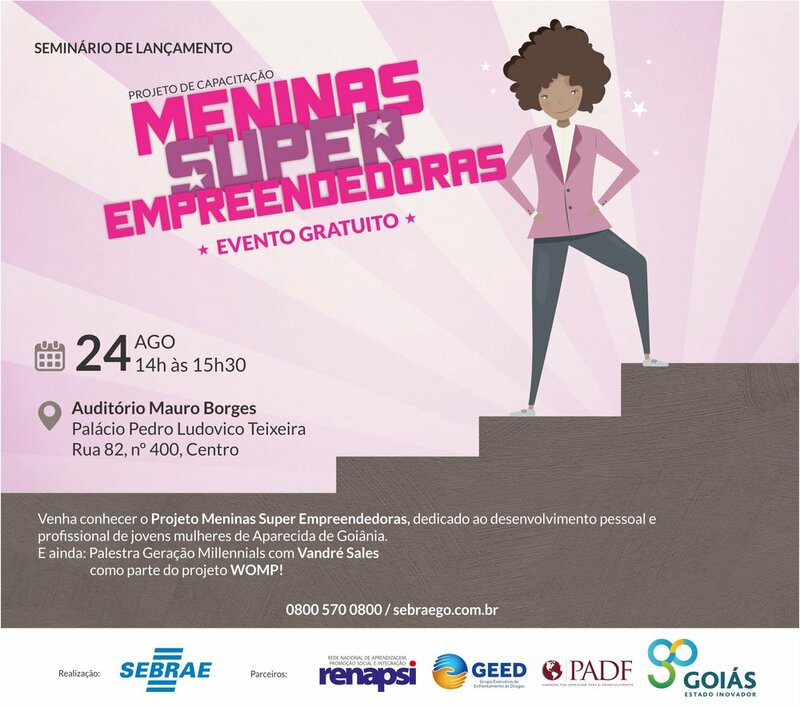 It is broadcast on 21 radio stations across Brazil. A nonprofit web radio program, it aims to disseminate information on all issues facing the health sector. The program helps the Health Ministry promote the Brazilian Family Health Program, which focuses on primary care and disease prevention.